When you pay your annual membership dues to NCWCA, you also become a member of the National WCA and WCA Pacific Region. You are invited to participate in events, meetings, exhibitions, projects and committees at the local, regional and national levels. Calendar Year Membership: Membership is based on the calendar year, from January 1 - December 31. 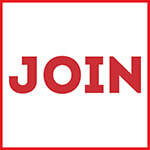 If you join after January 1, your membership lasts from your join date through December 31. For example, if you join on April 3, 2019 your membership lasts from April 3 through December 31, 2019. Special Bonus for New Members: If you join between October 1 - December 31, you get additional months of membership for your first year. Our 2019 Membership portal is now open! Join a strong local, regional and national community of activist women in the arts. Participate in professional development opportunities such as portfolio review, photographing your artwork, learning about artist residencies, etc. Have fun and build enduring relationships through get-togethers for art sharing, artist studio visits, gallery visits and more. Hone creative skills with art collaborations, critiques, sketch clubs and exhibitions. Share news about your upcoming exhibitions, publications and workshops. Participate in exhibitions at chapter, regional and national levels. Collaborate with non-profits in your community on activist issues. Develop skills in exhibition management, organizational leadership, social networking and project management. Attend the annual WCA Conference, held in conjunction with The Feminist Art Project and College Art Association Conferences, with opportunities to present scholarly papers. Honor women in the arts at the annual Lifetime Achievement Awards. Participate at the national level through caucuses such as Young WCA, Jewish Women's Artists Network, Eco-Art and International. Collaborate with other chapters on regional and inter-chapter events and conferences. Exhibit your work in the NCWCA Online Gallery.